Check out other Benji B shows in my archive and subscribe to the feed to get good music in the future. You can also follow Core News on Facebook and Twitter. Show number 6 and i must say that this has been a sensational show on BBC. Surely this is so far the best Benji B’s Radio 1 outing since his promotion. 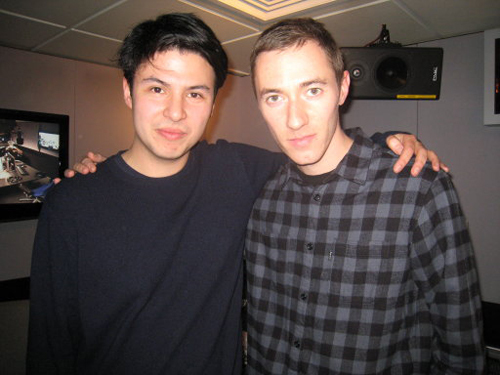 Thanks largely to his first ever Maida Vale studio session for both Benji and Mr Jamie Woon. What a magical session. The music is so precise and so very good. I’ve been a big fan to Jamie since his low-key releases years ago and to hear his sessions and with the new album coming out next year is so inspiring. Apart from that Benji’s selections are brilliant and 100% flawless. I can listening to this show all day long. Can’t believe no comments on this yet.